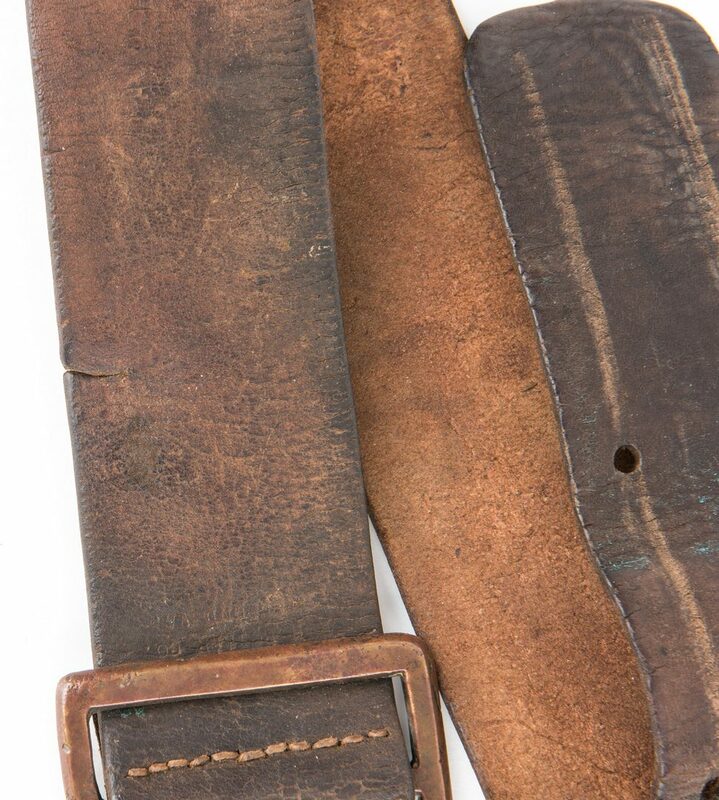 Confederate Richmond, Virginia R. H. Bosher Carriage Works original leather belt with fixed tongue frame buckle. 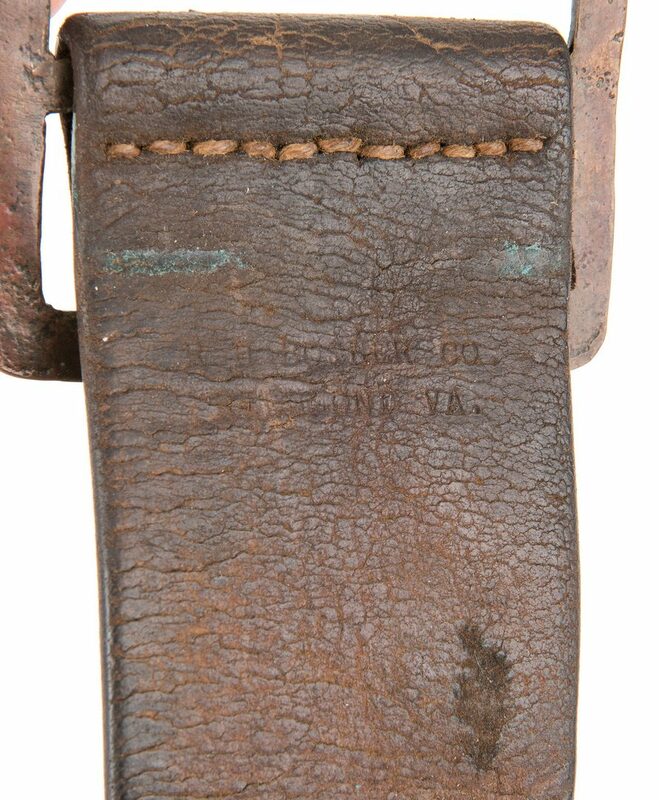 1-piece enlisted infantry sand cast brass "Beveled Edge" frame buckle on leather belt stamped "W. H. BOSHER CO." over "RICHMOND VA." on the front of the leather below the stitching for the buckle. Includes original retail listing from Shannon Pritchard, Old South Military Antiques with additional photographs. 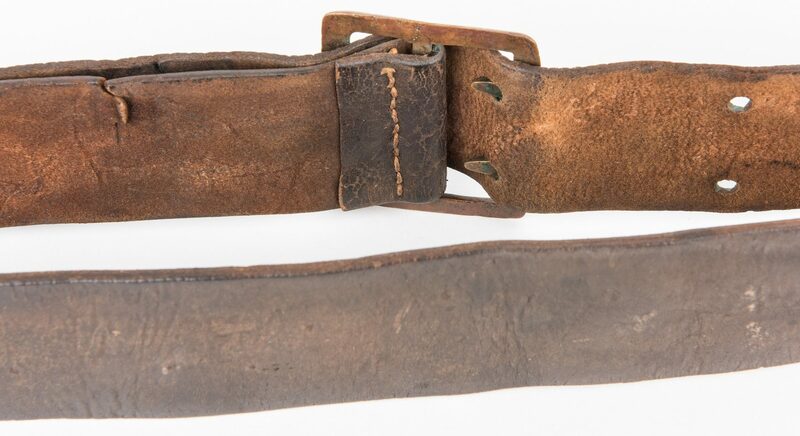 Buckle approximately 67 mm x 57 mm (2.64" x 2.24"). 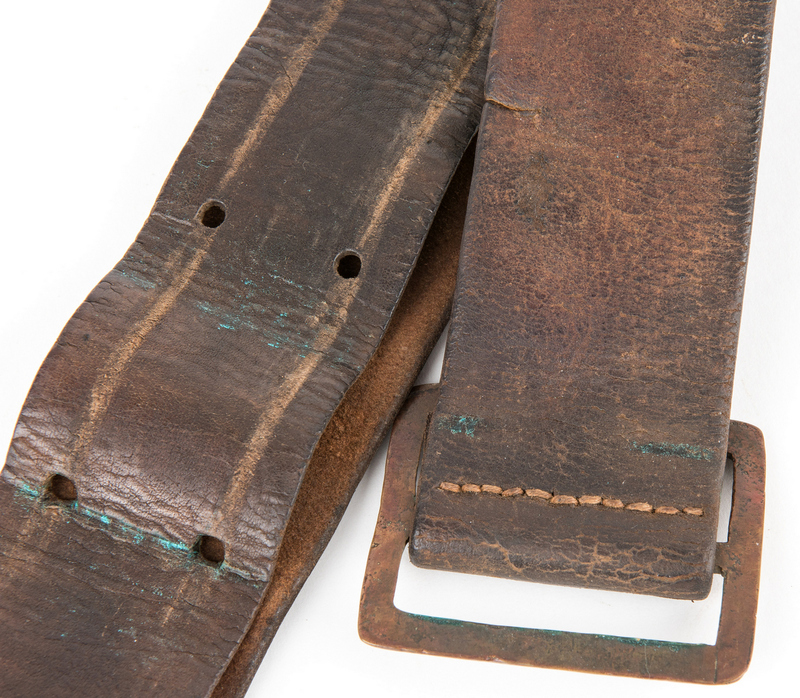 Belt length approximately 36 3/4". Provenance: Purchased from Shannon Pritchard, Old South Military Antiques. Estate of Jim Maconkey, Landrum, SC. 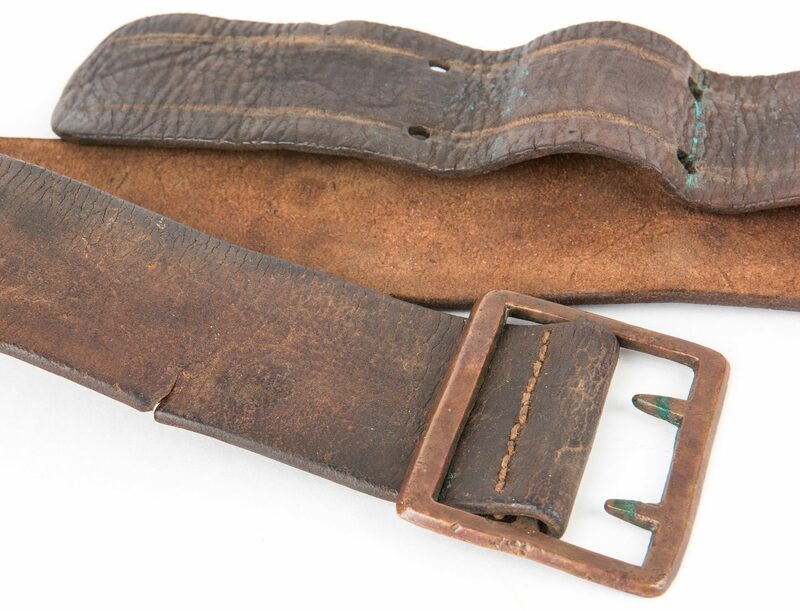 Note: See "Confederate Belt Buckles and Plates" by Steve E. Mullinax, 1999, pages 94-99, and "Collecting the Confederacy" by Shannon Pritchard, 2005, page 19. 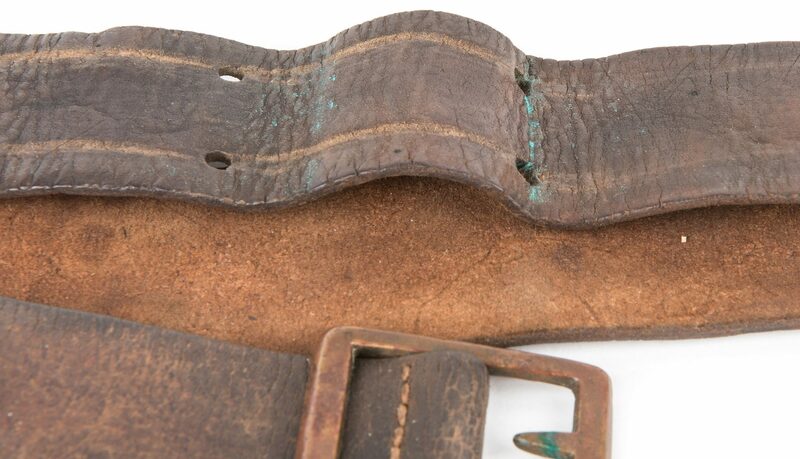 CONDITION: Overall the leather is strong; there is scarring on the leather where the points of the belt frame scratched the leather. 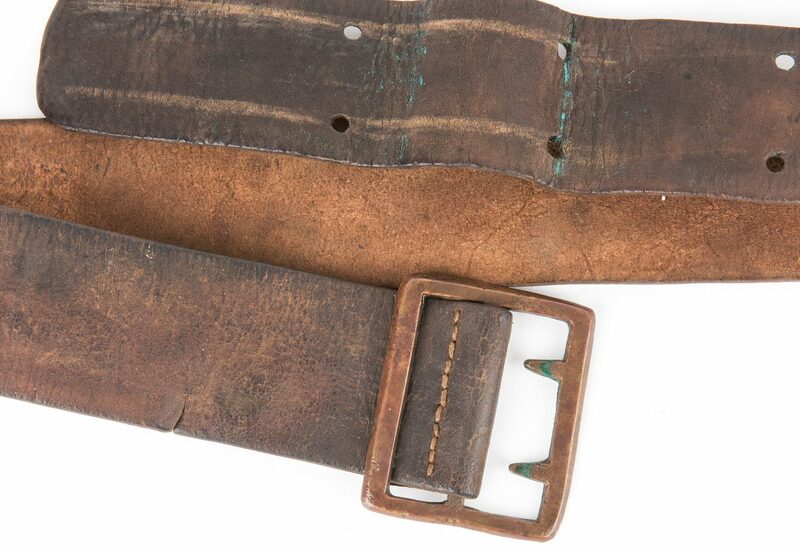 Buckle in overall good condition.